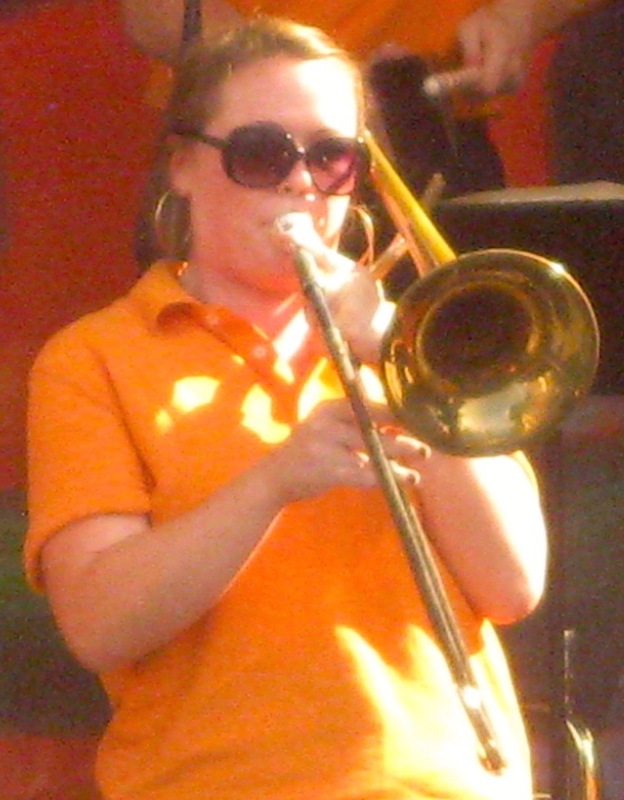 Throughout her music career, Katie has played with the Pennsylvania Music Educators Association All-State Band, Main Line Symphony Orchestra and the Temple University Jazz Band under the direction of Terell Stafford, with whom she was lucky to record To Thad with Love: A tribute to Thad Jones (2012). Katie has shared the stage with such notable performers as Denis DiBlasio, George Rabbai, the Boston Brass, Graham Breedlove, Freddy Cole, Wycliffe Gordon, and Savion Glover. She holds a Master’s Degree in Library Science from Catholic University, a Master’s degree in music from Temple University, and a Bachelor’s degree in music from Gettysburg College. She currently works as a music librarian at the Library of Congress. Katie has played with the Rockville Brass Band since 2014 and loves the brass band movement!